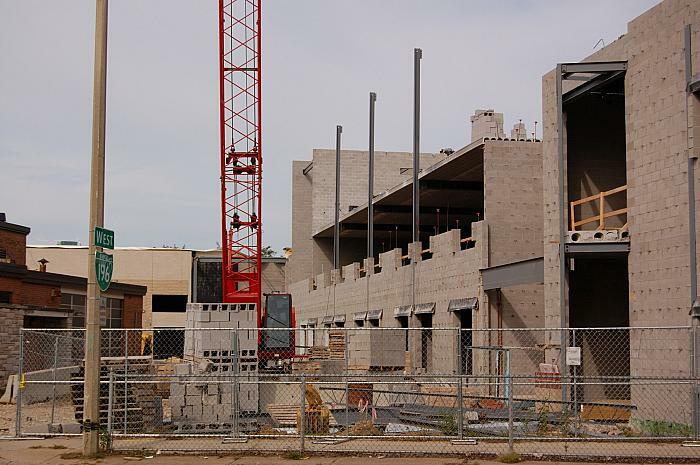 A closer look at the construction shows Hall School at the left, the future gymnasium behind the crane, and concrete block construction of the new building at the right. More blocks are stacked in front of the crane just inside the cyclone fence. The green sign on the light pole indicates business route 196 on Grandville Ave.